While searching around one day I must have accidentally hit something that caused Google Earth to cruise around all on it's own. I kind of chuckled and figured what the heck, I will look around in the area of Oregon it stopped in. At first I spotted the lines of what appeared as wings and then realized I found a beautiful configuration of what looks like the profile of a carved angel with a crown, I say crown because that is what it looks like in the negative below...........After looking at the configuration, I noticed a triangle sticking out where would be the throat (chakra) and right below that, there is what looks like another Angel right under the triangle that also connects into a set of wings as drawn out in Angel Image 2. 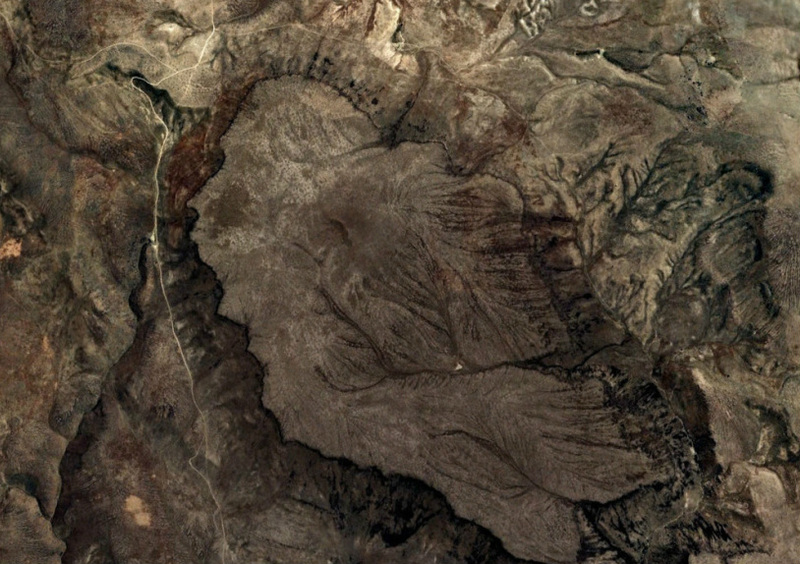 Based on the larger Angel residing over the smaller Angel and anagrams I did, (which you can see in "Hendaye Cross and Harney County" section) and she is wearing what looks like a possible crown, I believe this configuration is depicting itself to be an Archangel. This configuration faces north, but the eye focus is directly 90 degrees east. The angel is also 2.07 miles in length just like the Hatman and distance to the possible tablet of script. 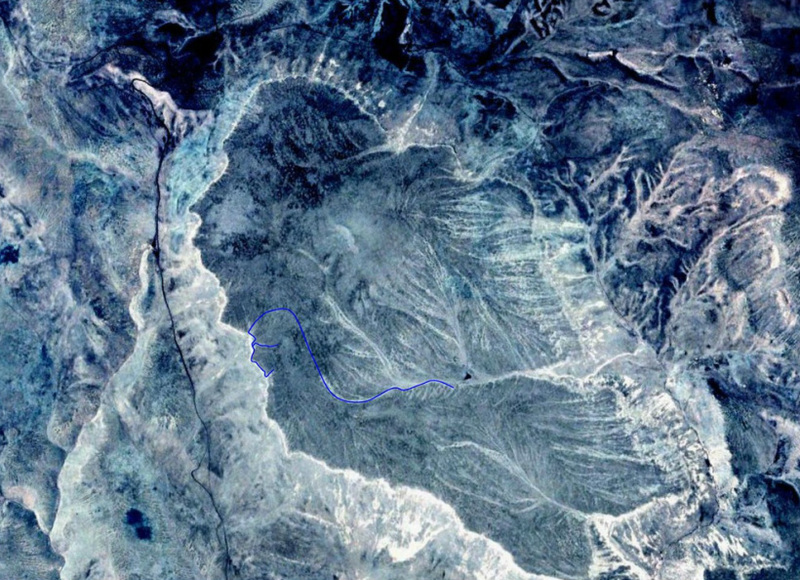 According to Google Earth the Archangel is elevated several hundred ft. above the road that surrounds it, which looks to be an ancient river bed that once surrounded it. Two days after I found the angel I stumbled upon an article in a Portland newspaper describing several witnesses who watched orange orbs of light going into Summer Lake.......which is an ancient lake in this area. I looked at the date they were spotted and ironically it was the same day I found the angel. Below is Angel Image 2. I am no artist on the computer, but it gives you the general idea. Following images are negatives showing more detail. 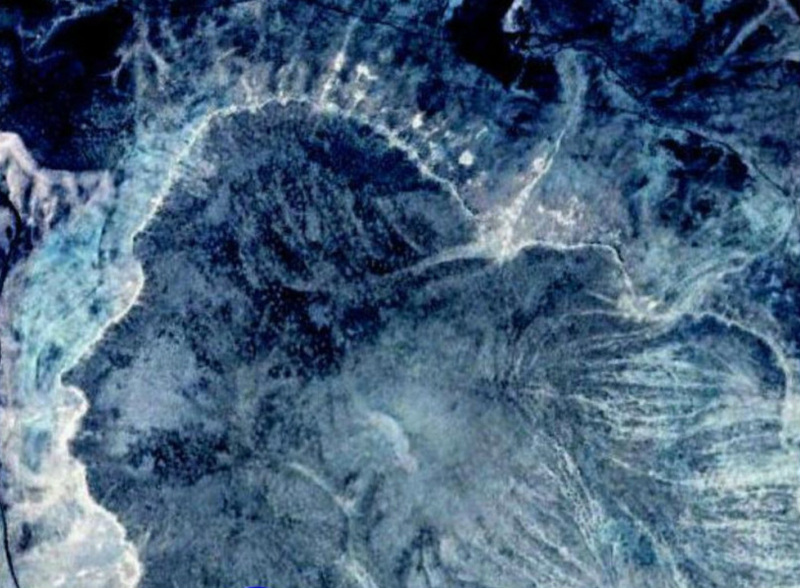 Closeup of the angels head below. Here is a side view showing her massive size. Alis volat propriis is a Latin phrase used as the motto of U.S. state of Oregon.The official English version of the motto is "She Flies With Her Own Wings". Does this have anything to do with the angel? Probably not, but I found it interesting.